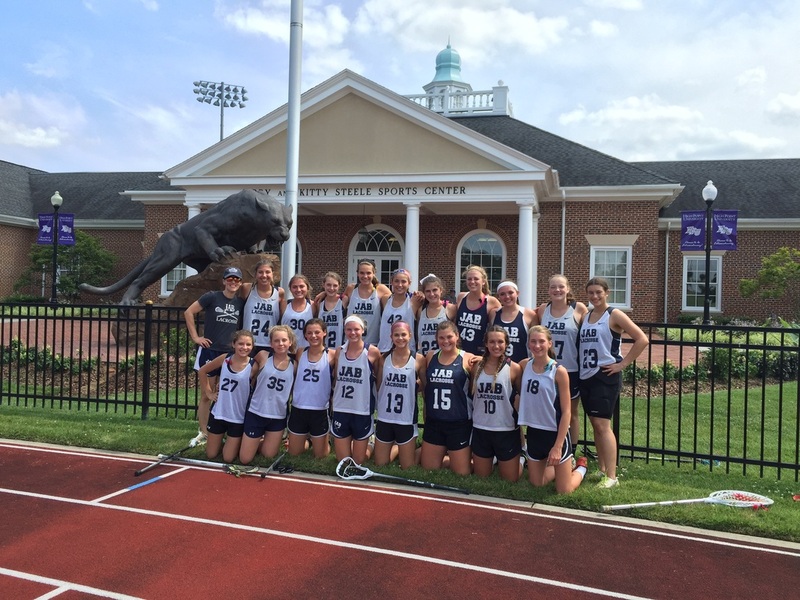 JAB Lacrosse is a lacrosse organization located in Lynchburg, VA that offers training and tournament competition for girls in the fall, winter and summer months. We focus on skill development through drills that are designed to improve each player. Our head coaches are all professional lacrosse coaches who have played and coached at the college level. Our goal is to provide young female athletes with a strong foundation in the sport of lacrosse and inspire them to be confident, strong and dedicated athletes. JAB Lacrosse is ideal for any player who has the desire to advance her lacrosse skills in order to prepare for her spring season and future playing experiences. Our JAB coaching staff will also work with each high school athlete during the recruiting process, if they have a desire to compete at that level. JAB Lacrosse has sent players to the University of Mary Washington, Haverford, Sewanee, Duke University, Randolph College and VCU. Providing Lynchburg and surrounding areas with a premier lacrosse experience!